FSS 6.0 has landed on the west coast but is not here yet. We expect it in the next 10 days or so. In the meantime, if you have moved since this summer, please update your shipping address here. In addition, you can use the same link to confirm that your correct credit card (installment only customers) is on file. We won’t set the billing date until they are here but it is still anticipated to be the beginning of December. 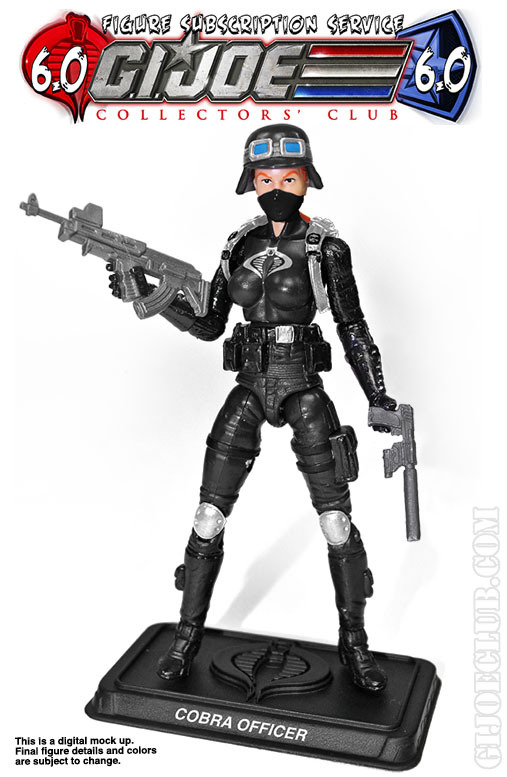 FSS 7.0 figure previews and order period will start next week and end December 4. You will all be very excited about the coming figures. These should ship starting in the Spring, just after FSS 6.0 concludes. Convention information will be released in early January with registration starting in mid-January. Well, well, well… it seems that we could see FSS 6 hitting subscriber mailboxes before Thanksgiving! Now that’s a great way to start off the 2017 Holiday Season for Joe fans! Even more compelling, we’ll start to see FSS 7 previews next week. At Joe Con 2017, we found out the identities of only two members of the roster: Shattered Glass Tomax and Crystal Ball. This means we’re going to have the reveal of a whopping TEN MORE FIGURES! 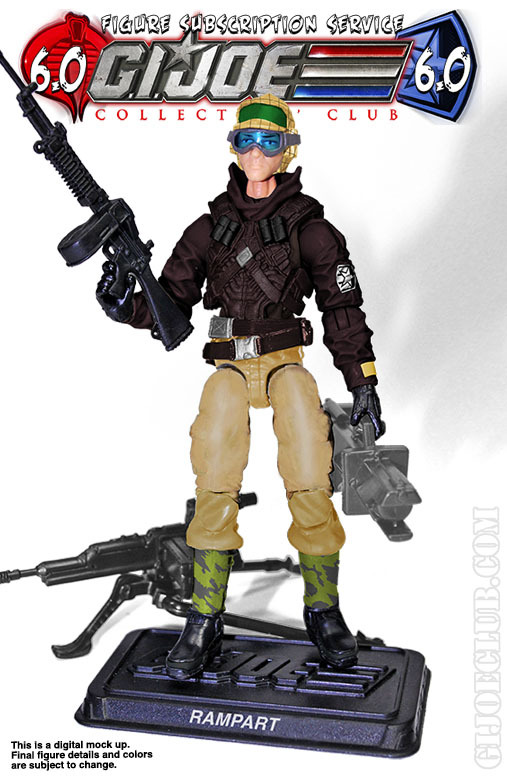 As for the rest of the FSS 7 roster– it’s anyone’s guess. Will there be more Ninja Force? Action Force? Could Night Force Sneak Peek actually happen? What about Hardball whose weapon was reissued as part of the Force of Battle convention souvenirs? G.I. Joe FSS 6 announcement and roster revealed! The signup for G.I. 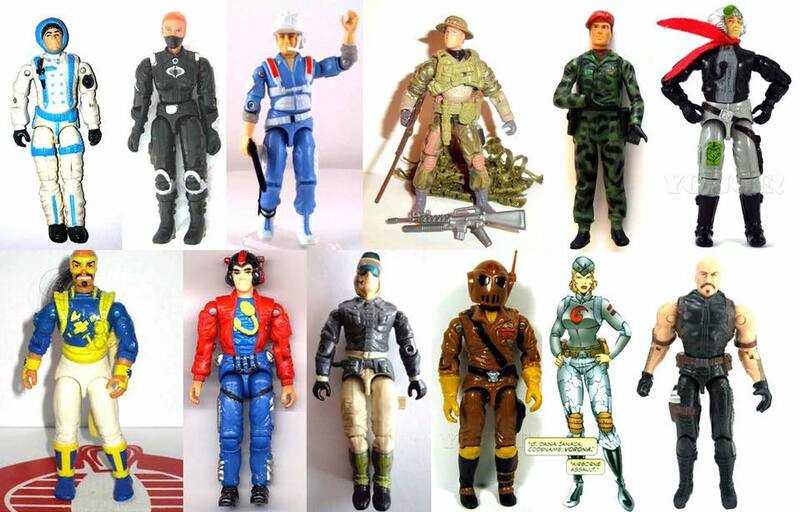 Joe Collector’s Club FSS 6.0 is now LIVE! G.I. Joe FSS 5 Gaucho steps into view! Another G.I. 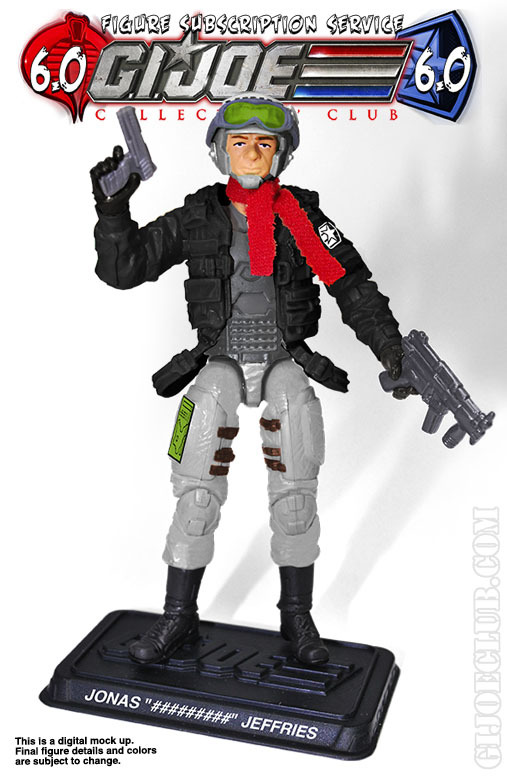 Joe FSS 5 preview has been released – Z-Force Gaucho! 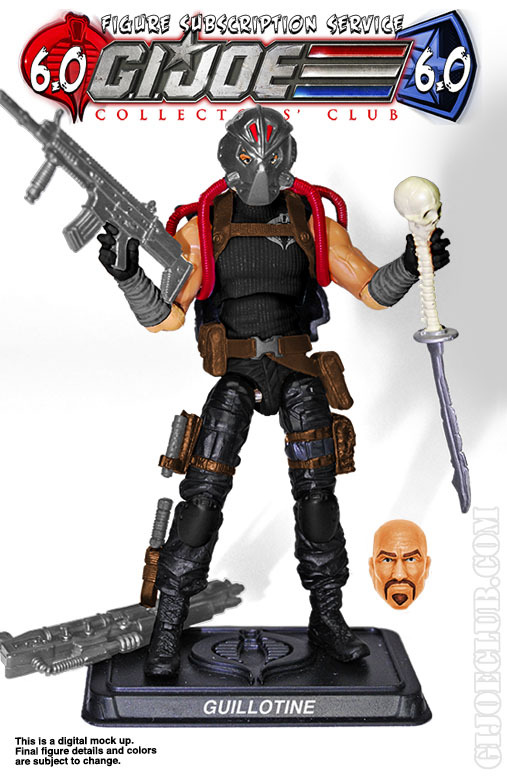 Includes: removable vest, grenade launcher, wrench, tool satchel, boot knife, pistol, and figure stand. It’s no secret that I’m a HUGE fan of the 2015 Gung-Ho action figure which I regard with the same reverence that some folks reserve for their favorite sports teams. 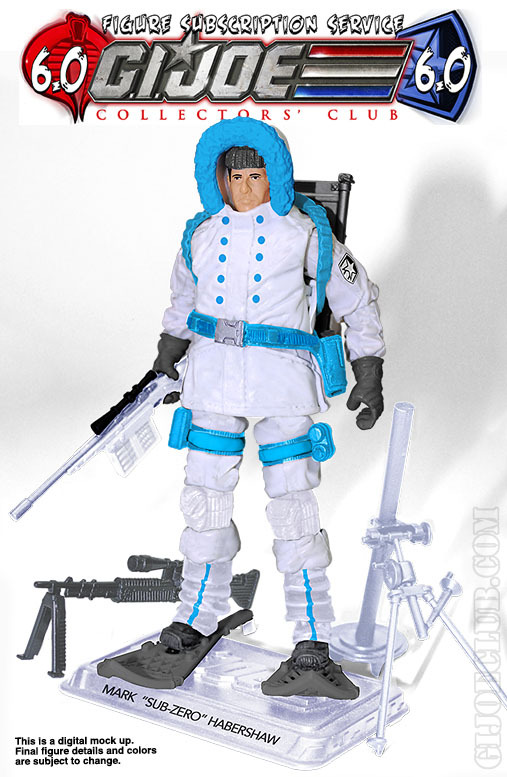 It is an AMAZING figure that fixed ALL of the issues I had with the abominable 25th Anniversary release and then some. Seriously– it’s one of the best pieces that Hasbro has released in years and nothing will ever persuade me otherwise. 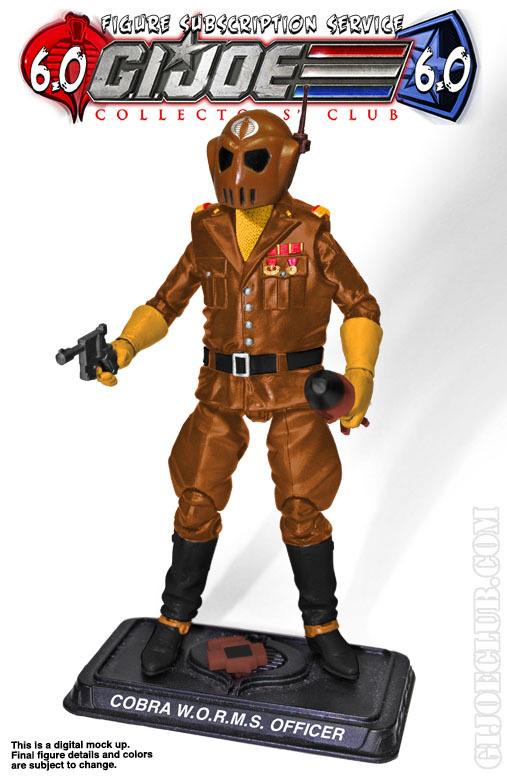 Gaucho, from his very origins, was a repaint of Gung-Ho and so, it seems logical that the Club would take the path of least creative resistance and merely re-release Gung-Ho in a different color scheme. 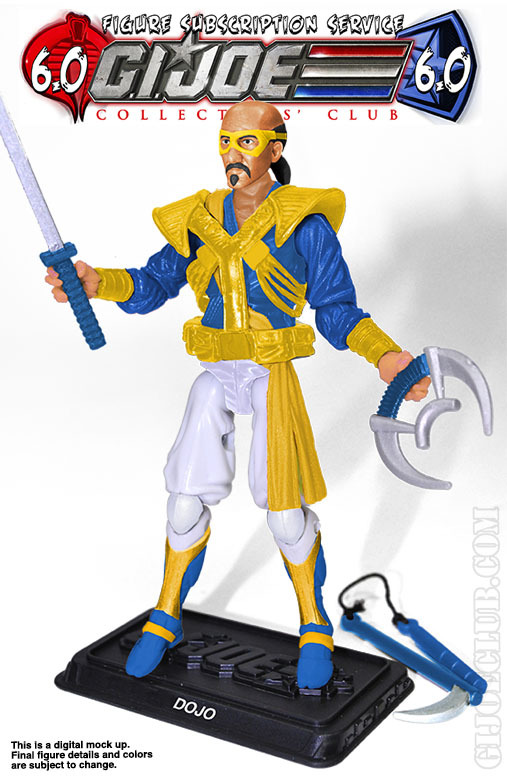 I should be fine with this… except that I’m not for the simple reason that this figure looks like a lazy repaint to me. 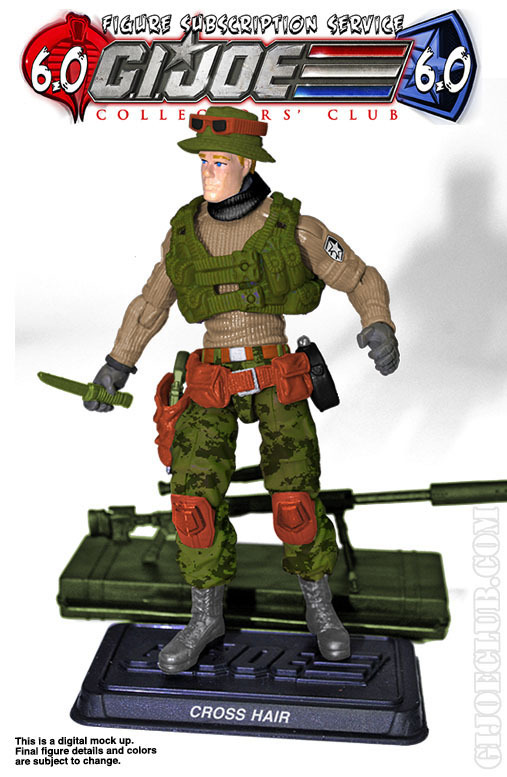 When Gaucho was released as part of the 2010 convention set, his skin tone was changed to reflect his ethnic background and it really helped to set the character apart from Gung-Ho who is, in my opinion, one of the more visually distinctive members of the G.I. Joe team. As such, I was expected the G.I. 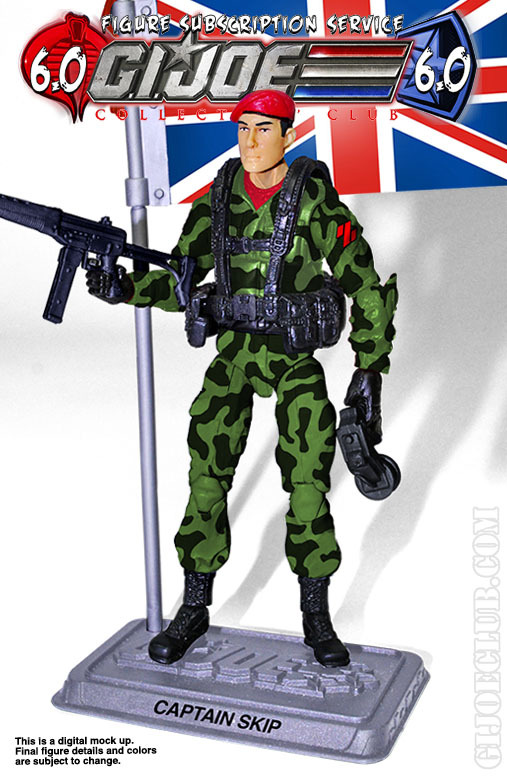 Joe FSS 5 version to be similarly produced. Call me crazy, but this just feels lazy to me. 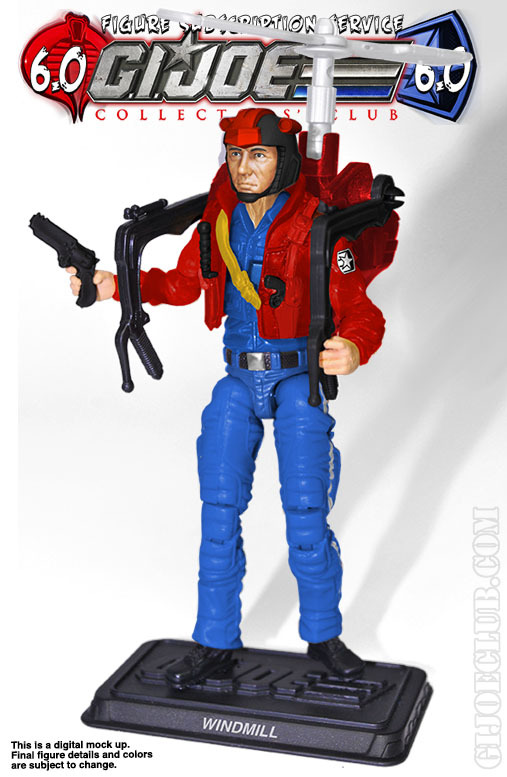 Even the FSS 4 Jammer wasn’t just a straight repaint of the 25th Anniversary Stalker. Sorry Gaucho fans, but you deserve better than this figure. It’s time for another G.I. Joe FSS 4 Review! One’s a DiC era Jungle Warfare specialist with a penchant for heavy machine guns and landscaping equipment! The other’s UK Z-Force communication specialist that bears a striking resemblance to the G.I. Joe team‘s original Ranger from Detroit. Together, they keep the world safe for freedom! That’s right Joe fans– this month’s G.I. Joe FSS 4 Review odd couple is none other than Pathfinder and Jammer! It’s been nearly two weeks since the last G.I. Joe Collector’s Club FSS 4 boxes arrived in the mailboxes of subscribers. Chris and Fred took these figures and once again put them under the G.I. Joe FSS 4 review lens– and this time they even brought along a special consultant on one of the figures! Are these two worth picking up? Do Chris and Fred find anything to agree on? Does Deadpool continue his string of gratuitous cameo appearances? These questions will indeed be answered in the latest G.I. Joe FSS 4 Review installments. Check out both Jammer & Pathfinder over on the G.I. Joe Collector’s Club Review Index! G.I. Joe FSS 4 shipment 3 is inbound! Plus, a look at #5! G.I. Joe FSS 4 shipment 3 is now arriving! That’s right– thanks to the accelerated delivery timetable of the G.I. Joe Collector’s Club, FSS 4 shipments are hitting subscribers’ mailboxes about every three weeks! Thanks to Alyosha of BrokenArrowToys.com, we’ve got a look at shipment #3 below. Not only that, but a shipping error has resulted in one lucky fan getting shipment #5 early! We’ve got a pics and link to his Ebay auction below as well. So, you’ve been warned. After the jump, we’re taking a look at TWO G.I. Joe FSS 4 shipments. JBL Reviews the FSS Quarrel action figure! Fear not, Joe fan! You’ve not stepped through a rift that’s transported you back in time nearly three years! Rather, the JBL admin has decided to whittle down his massive backlog of reviews and delved back into the first series of the subscription service to review FSS Quarrel! However, enough ranting from the admin. 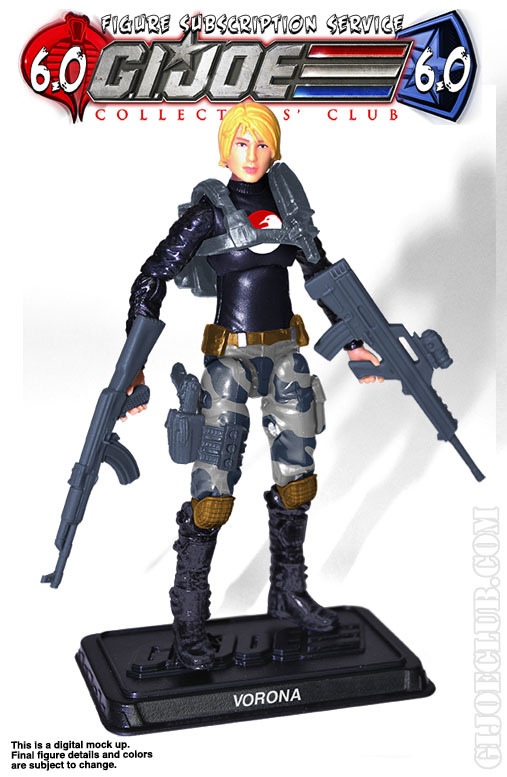 FSS Quarrel first dropped back in early 2013 as part of the first series of the G.I. Joe Collector’s Club Figure Subscription Service. 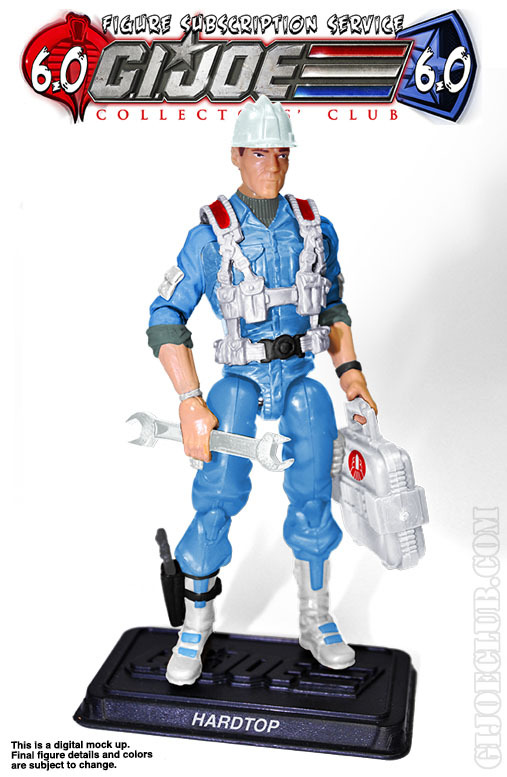 Based on the classic 1983 Action Force character, this marked Quarrel’s first appearance in the “modern era” of G.I. Joe figure construction. Was it worth the wait? Is she a solid addition to any Joe collection? Do she and Duke use the same hair dye? Only two of this questions will be answered but to find out which two, head on over and check out the review of the FSS Quarrel figure in the G.I. Joe Collector’s Club Review Index!